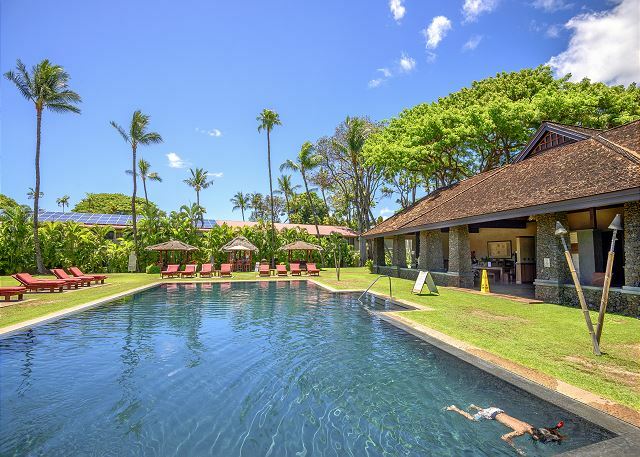 In the heart of historic Lahaina Town, Aina Nalu sits on a 9 acre OASIS of lush and tropical gardens with two swimming pools, spa, private Balinese bungalows at poolside, large pavilion and gas-fired BBQs. Unit 204 in building C is a beautiful two bedroom, two bath unit. This condo is fully furnished featuring custom crafted cherry wood cabinetry, granite counter tops, a fully appointed kitchen, ceiling fans, custom carpet and stone flooring in the bathroom and showers. 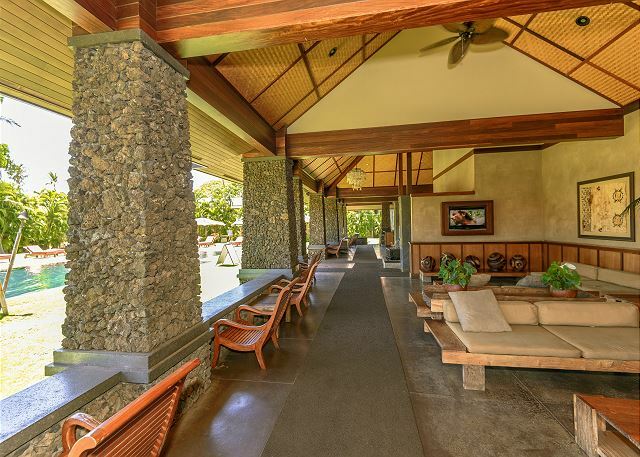 It also has a private lanai for you to enjoy the beautiful Maui sunshine. 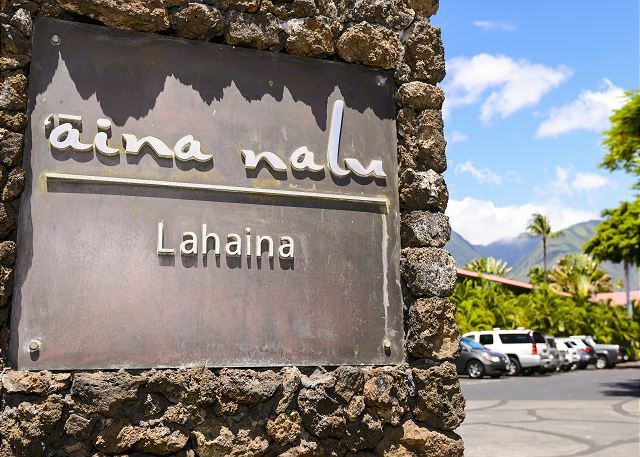 The Aina Nalu complex is located at the foot of the West Maui Mountains, just three blocks from tropical beaches, including Front Street and Baby Beach. 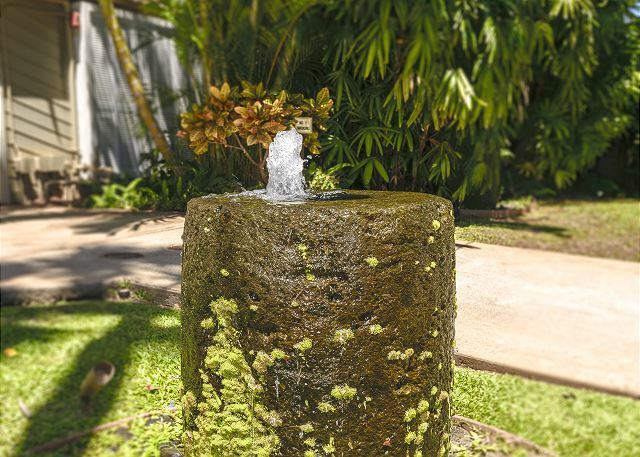 Aina Nalu strives to be environmentally friendly, with recycling stations, 2 saline pools, and solar panels to reduce our carbon footprint. - One large whirlpool spa with gorgeous mountain views. - Pool side shower stations. 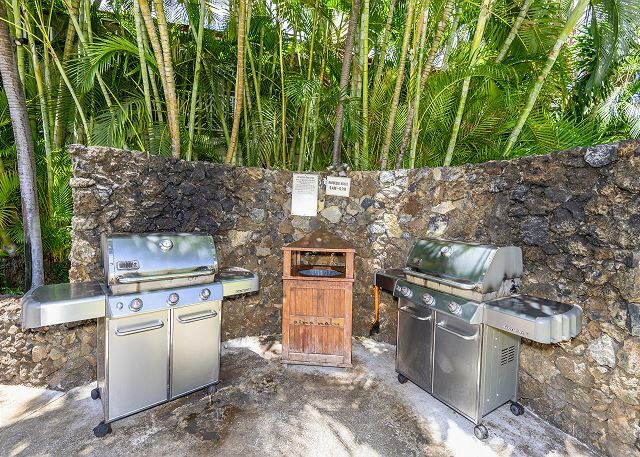 - Pool side guest pavilion with sitting areas, large flat-screen TV, clean restrooms, fountains, covered kitchen and food prep area, snack machines, and a large guest dining table. 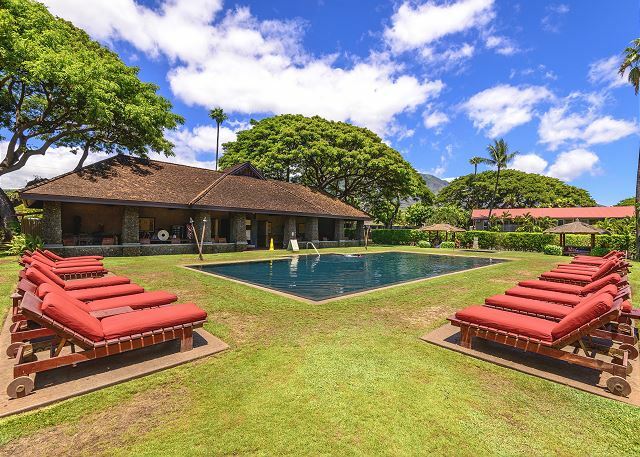 - Pool side cabanas and luxurious guest lounge chairs surrounding the pools. 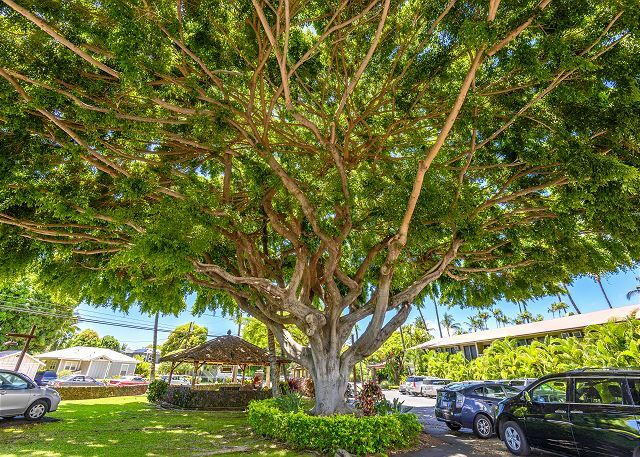 The complex is 1-1/2 blocks away from historic Front Street and the famous Banyon Tree in Lahaina town. 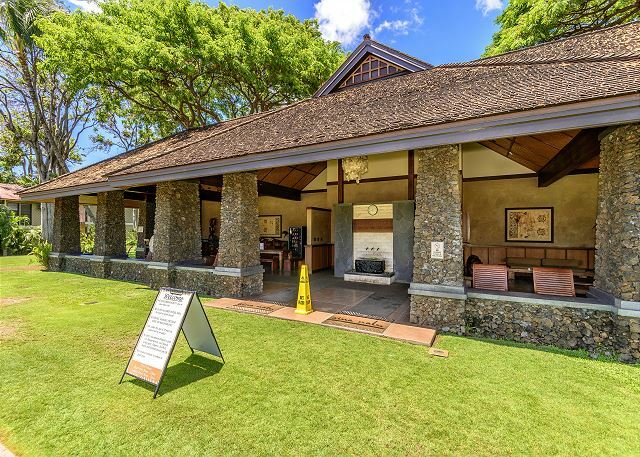 Tennis and basketball courts are available only two blocks away at the Lahaina Community Center and are open to the public. 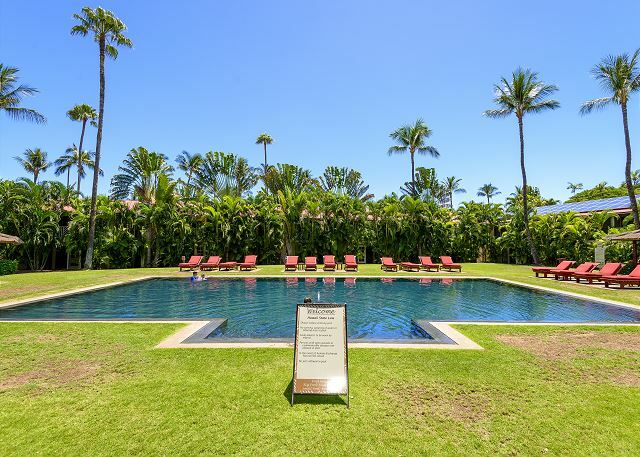 The renowned Kaanapali Beach is a quick drive or bus ride up the street for you to enjoy. 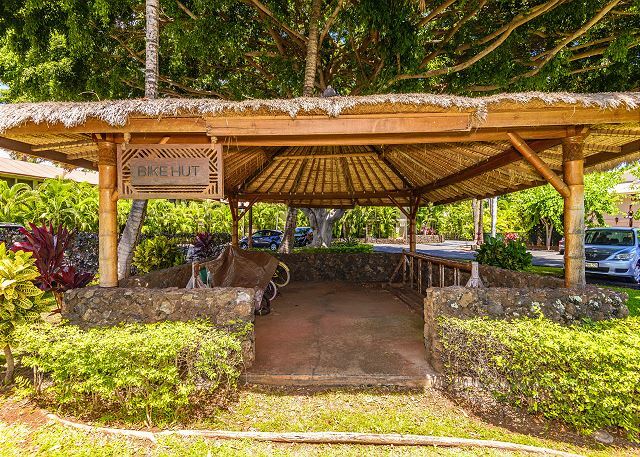 You can easily catch the bus from Front Street in Lahaina to get there throughout the day. 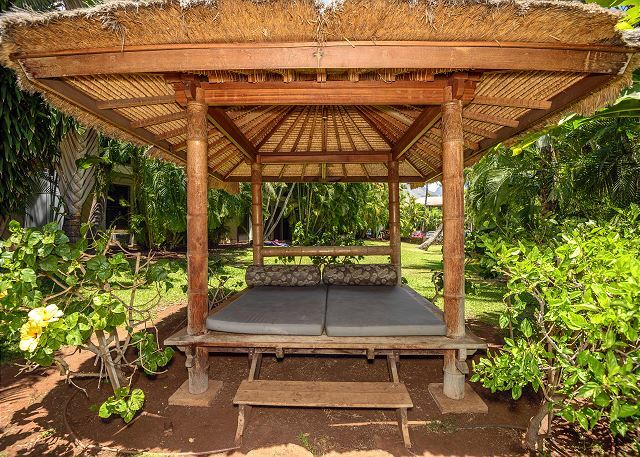 * However shorter stays may be approved if dates back up to another stay or stay is booked within 60 days of arrival. Please inquire for a shorter stay. Large and spacious unit, bright with functional kitchen. 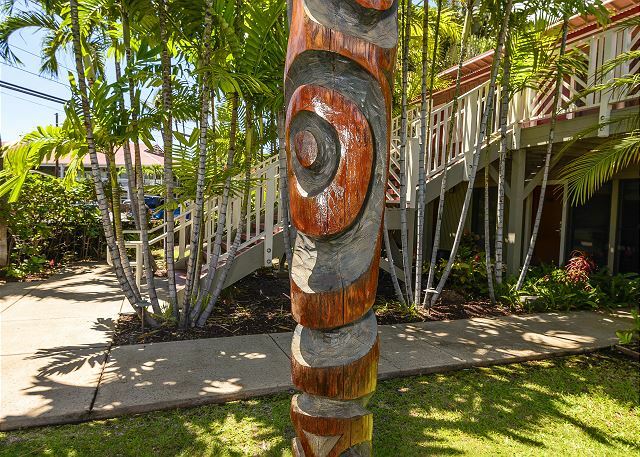 Excellent location: walking distance to the core where shops and restaurants are; short car drive to supermarket. 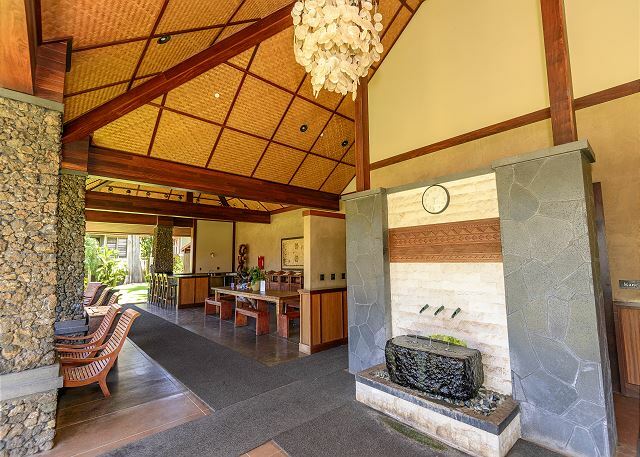 All attraction of West Maui easily reachable. I liked the amenities and the proximity to Front Street - it was perfect for my family especially with 2 teenagers. It was a bit of a walk to the beach but still worth it. My only real complaint is that the room needed a deep clean - dust and build up on the walls and base boards. Had a great time, the facility was clean, overall a comfortable stay. We would defiantly stay here again. 5/5 stars Review by Robert S.
Property was exactly as described, clean and in very nice condition. All of the beach items (chairs, body board etc) were included -although we didn’t utilize them. 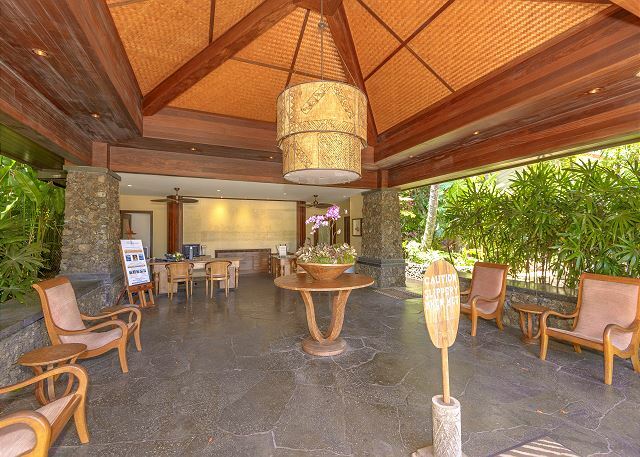 The pool and common areas were very nice and readily available as we needed them. Great location and proximity to Front St. Parking was a bit on the expensive side, but much more convinient than street parking. I would rent again and certainly recommend. 4/5 stars Review by Mildred H.
The condo was very nice and clean. The landscape was beautiful. The only complaint was the main bathroom shower water pressure was not good at all. The water out of the kitchen sink was much more powerful than that shower. 5/5 stars Review by TA-Janiece Z.
Condo was clean and sharp - with a lot of extra nice touches. 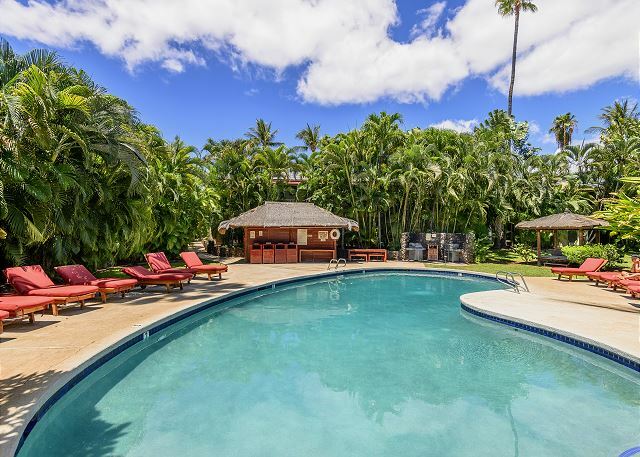 Super close to the saltwater pool and parking (handy when you are loading and unloading). Cable wasn't working in Master bedroom and the team was super responsive and helped us get it up and running in no time. We felt very well cared for and the team wanted us to be comfortable. We appreciated that there was more than just the most basic supplies to get started (toilet paper/paper towels, soap, etc)- this was appreciated and gave us a few days to get to the store for more. I mean, who wants to go to the store when the beach is so close? Loved the experience and we will rent Aina-Nalu C204 again. Our two bedroom condo was well supplied with cooking pans and utensils. A sharp chef's knife would be a good addition. We cooked most nights and enjoyed the bar-b-q at the poo as welll. The beds were extremely comfortable. The separate bathrooms and bedrooms at opposite ends of the condo provided very good privacy. Also the laundry was great to have insuite. All one needs for a successful vacation. The condo was very clean but the cupboard (kitchen and bathroom) liners were peeling and could be replaced. Also the deck was wonderful but could have used a cleaning prior to our stay. 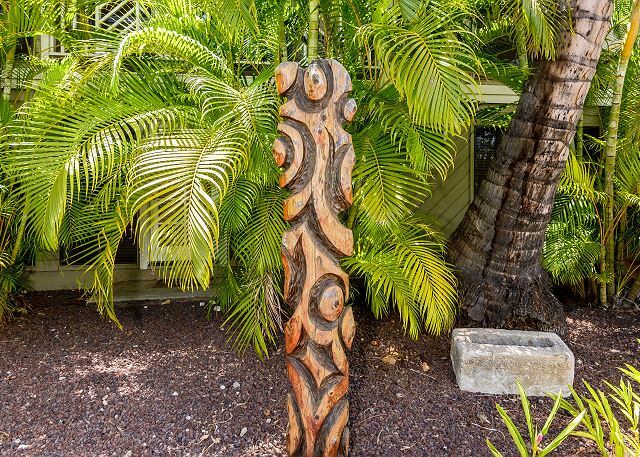 All in all a fabulous condo and our third visit to Aina Nalu. Love it! Fantastic location. Condo was clean and well kept. 3/5 stars Review by Jon O.
mostly good. dryer broke the day before i arrived. was dismantled in room when i arrived. had to hide parts. was given access to another unit for washer dryer. toaster was broken. some windows didnt operate but were later fixed. dishwasher was dismantled when i arrived. the parking management people were rude and sent me away. took a bit to figure out how to get buy a parking pass. the positive was that the unit manager was very responsive, nice, and helpful. great location. 4/5 stars Review by Renee N.
It was too short. Just a 4 day business trip. Stacey, the Property Manager was wonderful to work with and the pictures reflect the condition of the unit perfectly. The furniture is new and everything that you expect if you are looking for the comforts of home! I would definitely stay here again! Thank you Epic for and Epic Vacation! 4/5 stars Review by Andreas B. Der perfekte Ort um sowohl Strand- Pool- und Aktivferien zu machen. Alles sehr gut organisiert und sauber hier. Die beiden Pools sind phantastisch. In Lahaina findet man einige sehr gute Restaurants wie zum Beispiel Lahaina Fish Co. / Kimo's / Cool Cat Cafe usw. 5/5 stars Review by Caren W.
My kids and I stayed there for 8 nights. The condo was very clean and had everything that we needed. The only drawback was that the parking was very expensive. I would highly recommend this property. Great place as seen on the pictures. 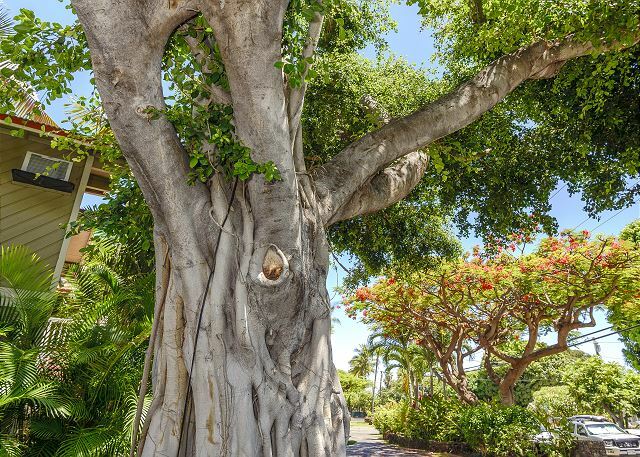 Lahaina is beautiful and you are only 3 minutes from walking there. Few important items are missing in the kitchen like an bottle opener 😉 The parking fee is very expensive. There are few city parking lot around that cost less per day!